Paul Weller Interview With The Mirror! – Paul Weller News! 2 Comments on Paul Weller Interview With The Mirror! In his dressing room at the Royal Albert Hall, Paul Weller is doling out kisses and drinks. He has just completed a five-night run at the prestigious venue, finishing with the most remarkable show I’ve seen in more than 30 years of Weller watching. single, Find The Torch, Burn The Plans. Unimpressed with the new government – “they are all the same, they all went to the same public schools and universities” – Weller fiercely clings to his working class roots. This despite being a millionaire rock star whose children have been privately educated. Isn’t that a contradiction? be my roots. School did nothing for me. The Beatles were my teachers when I was 16. My old man took me to Liverpool and I stood outside Macca’s house in Forthlin Road and Lennon’s house Mendips. It was like me going to Mecca. During the making of his latest album Wake Up The Nation, his “old man” – father, manager and career-long partner John Weller – died after a four-year illness. So how did the period of living grief, watching John gradually “fall apart” affect him? “I’m the son of my father,” Paul answers. “I know he wouldn’t want me wallowing in tears and grief, so I dealt with it like that. You have to keep on keeping on. And so Weller continues, a force of nature who is no longer seen as a staid traditionalist. His latest album Wake Up The Nation and its predecessor 22 Dreams have marked him out as an activist adventurer – ever keen to seek out like-minded rebel rousers. “I think Britain has got talent but you won’t find it on that TV show,” he scowls. “Simon Cowell is a fool. Personally I’m still waiting for the 17-year-olds to get away from their computers, smash the f*** out of this country and have a proper music revolution. I really belive in his ideas. That is one of the reasons why I loved the Jam so much as I did and still do. I hope that even if he says so really stands for what he says. I meean his a rich man and he send his children to private school which is really expensive in England. But Mr Weller diserves it even though I can not understand Style Council. What kind of music is that Paul. I hope you can forgive me for all my misspellings. Peace and Solidarity Johan the Swede. It should be mean and schools. Previous Entry Paul Interview With News Of The World! 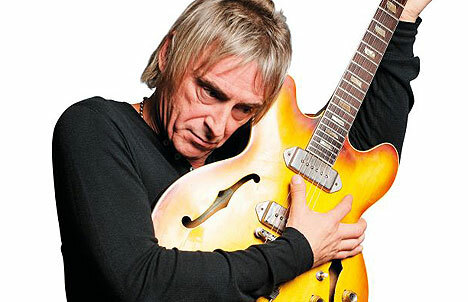 Next Entry Paul Weller Interview With US Based Jambase.com!